Your iPhone is probably one of your most precious belongings. It contains pictures from your favorite moments, all of your contact information, emails, your favorite apps, messages, and all related data. It is vital that you protect all of your information and data by backing up your iPhone. If your phone is broken beyond repair or you buy a new iPhone, you will want all of your previous data. Backing up your information will ensure that restoring your iPhone is a breeze. There are a couple ways that you can backup the data on your iPhone, but the safest and most effective way is to back it up on your laptop or desktop via iTunes, rather than using iCloud. This will ensure that your data is stored locally and on a trustworthy device. A free iCloud only allows 5GB of data to for all of your iOS devices, making it difficult to manage with a small amount of space. 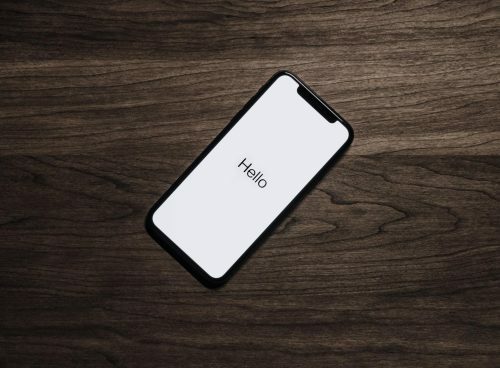 If you backup your Rest easy knowing that if an unpredictable catastrophe happens to your iPhone, your data, passwords, and information are still stored in a safe, easily acceptable place. Open iTunes and connect your phone to a laptop or computer. It may ask you for verification. If so, follow the prompts and verify yourself and your device. In the Settings Menu on the left, select “summary.” You will see a Backups heading in the middle of the screen. Select “This Computer” and check the box beside Encrypt iphone backup. Encrypting your phone will ensure that not only your data is saved, but that all of your passwords to your applications are saved for the future. When you encrypt your backup, it will prompt you for a password in order to keep all of your data and information safe. This password can be saved in Keychain. Now all of your information is safe and ready to go in case of an emergency. Remember, backing up your data and information does not happen automatically. You will need to manually backup your iPhone regularly to make sure your data is up-to-date. Open iTunes using the desktop or laptop that you used to backup your iPhone. Connect your iPhone to your computer. This could be your previous phone after it has been wiped or a new iPhone. When done correctly, your device should be shown as it did before. Follow the prompts for verification. Click on your device. Then click on summary in the settings menu. You will see the same Backups heading in the middle of the screen as you saw previously. Choose Restore Backup on the right of the screen. It will prompt you for the password you made previously. Patiently wait for iTunes to restore your iPhone! If all else fails or you are still having issues, swing by 911 iPhone Repair and we will walk you through the whole process in person.